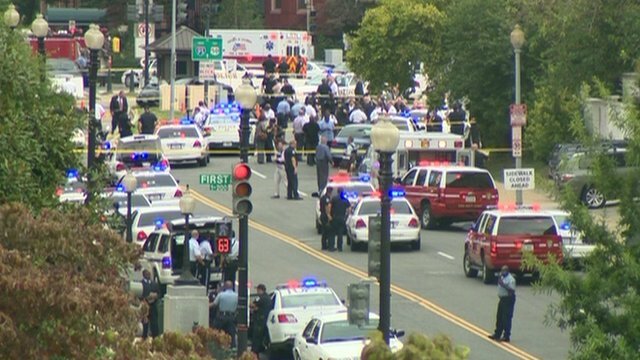 'I heard about 10 shots' Jump to media player Shots have been fired near the US Capitol in Washington DC after a high-speed police chase. 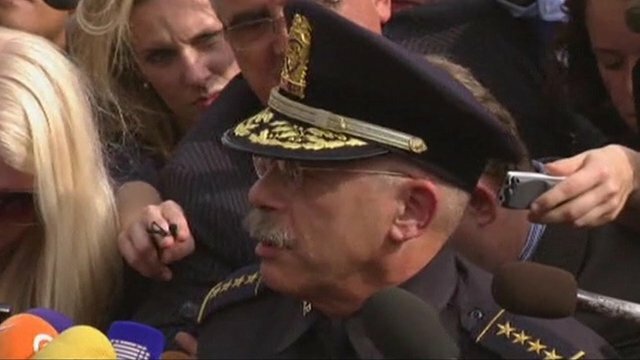 Capitol shooting 'isolated incident' Jump to media player US Capitol police chief Kim Dine holds a news conference following reports of a shooting near the US Capitol in Washington DC. 'Lockdown, but no panic' Jump to media player Shots have been reported near the US Capitol in Washington DC, with police locking down offices in the area. 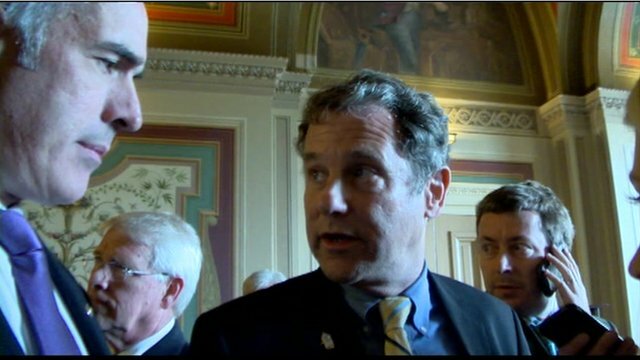 US senators 'heard shots' at Capitol Jump to media player Two US senators describe hearing gunshots on Capitol Hill before being ordered to take cover. Shots have been fired near the US Capitol in Washington DC after a high-speed police chase. 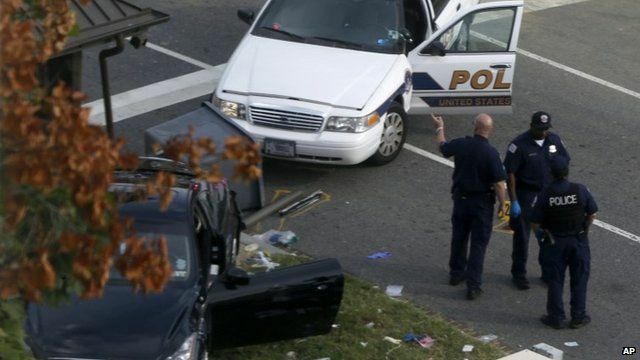 A police officer was injured in a crash and a suspect taken in to custody, police said. Berin Szoka was working in his office near where the incident occurred and said he heard "about ten shots".